For over 20 years, Pasta Express Italian Kitchen has been a family favorite in Springfield, Mo. 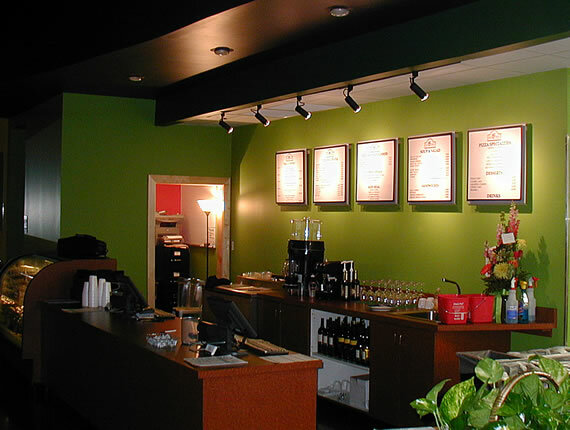 The restaurant offers a casual atmosphere that is perfect for dining with friends, co-workers, and family members. Our menu features a wide variety of entrees to satisfy everyone’s taste buds. At Pasta Express your meal is always made from the highest quality ingredients and made to order when you order. Our friendly staff takes pride in making sure you receive exceptional and enjoyable experience. Probably the best pasta there is. I go there at least once a week. The customer service is always fantastic. I've tried many things on the menu and never been disappointed. One of my favorites I would have to say is pasta spinach or baked mostaccioli. No matter what you get make sure you get a side salad, their dressing is what makes it perfect. Elizabeth V.
Just are lunch! It was so great. Love the bread...although I held out today. Their salad is amazing! I noticed today how hard and diligent the manager was working. They deserve this review and I'll be back! Rochette N Matt D.
We had never been here and were very pleasantly surprised. We were met by super friendly employees who helped us figure out what to. We were told that any of the entrees could be modified. I had Mamas Favorite Pasta and my daughter had Seafood fettuccine. Food came to the table in less than 10 minutes very hot and everything tasted very fresh. Huge portions!Very very reasonably priced. So this place gets all stars for me... Friendly, fast, fresh, and super reasonably priced. Jenn L.